ScooterPower ⁄ NEWS SPR (EN) ⁄ SPR 2018 Membership Cards : Only a few spots left ! 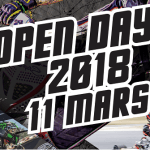 Registration for ScooterPower 2018 membership has been open since December 15, and nearly 150 drivers and motorbike enthusiasts have already signed up ! The huge advantages of membership are clear : for just 75.00€, members quickly get a return on their investment with discounts and deals. The first 200 members can take advantage of FREE registration for DragDay 1 (April 21-22), for the SPR Weekend 2018 (July 7-8) and DragDay 2 (October 20-21), in addition to the technical inspection requirement reduced to once per season, a time-saving advantage which lets you avoid the wait at the inspection station before each race. Scooterpower membership lets you automatically participate in the DragChallenge 2018, and RUN member championships, on all three dates ! Trophy ceremonies will take place during DragDay 2 at Salbris Racetrack on October 20-21, and the prizes donated by Maxiscoot make it worth competing in the various categories outlined in the Run SPR 2018 rules. For even more savings d’économies, Maxiscoot provides an exclusive website space for members, with items already discounted at member prices. No need to enter a membership code in your shopping basket ; everythng is already discounted up to 10% off, including brands such as Stage6, Stage6 RT, STR8, Motoforce, Mxs Racing, and 5% off on all other brands. 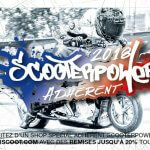 Just log in to the exclusive member website shop using your email adress used for your Scootpower membership. It’s really nice to get your machine ready for each race without spending your whole paycheck ! Get out your calculator and see just how much time and money you can save for spending just 75 € !